This listing is for a stunning pair of sterling silver stud earrings which are set with 1 mm sapphires: 4 green Tsavorite garnets and 6 blue sapphires in each earring. At an antique fair a few years ago I came across a bohemian glass beaded necklace with a range of animals, insects and even a human figure. These beads were strung along rusted wire. 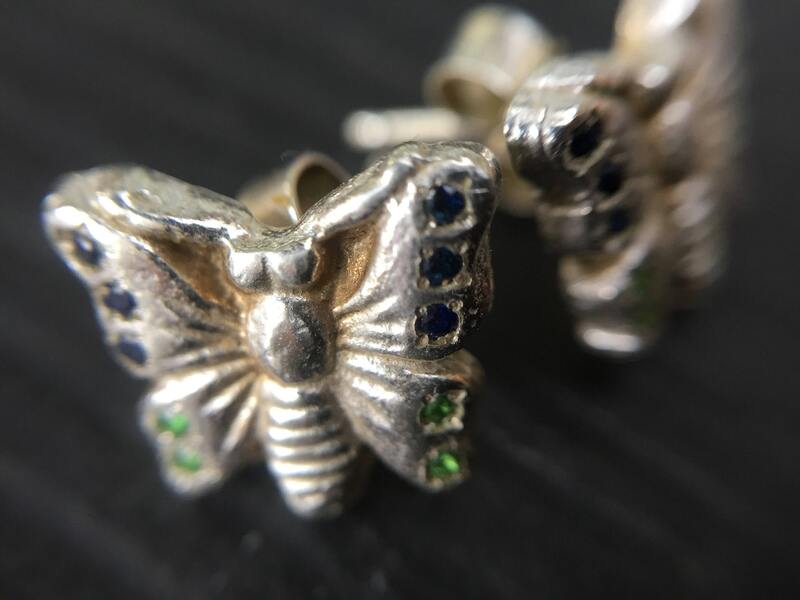 All beads were time worn and the colours long faded, so I gave myself the project of bringing them back to life in silver. 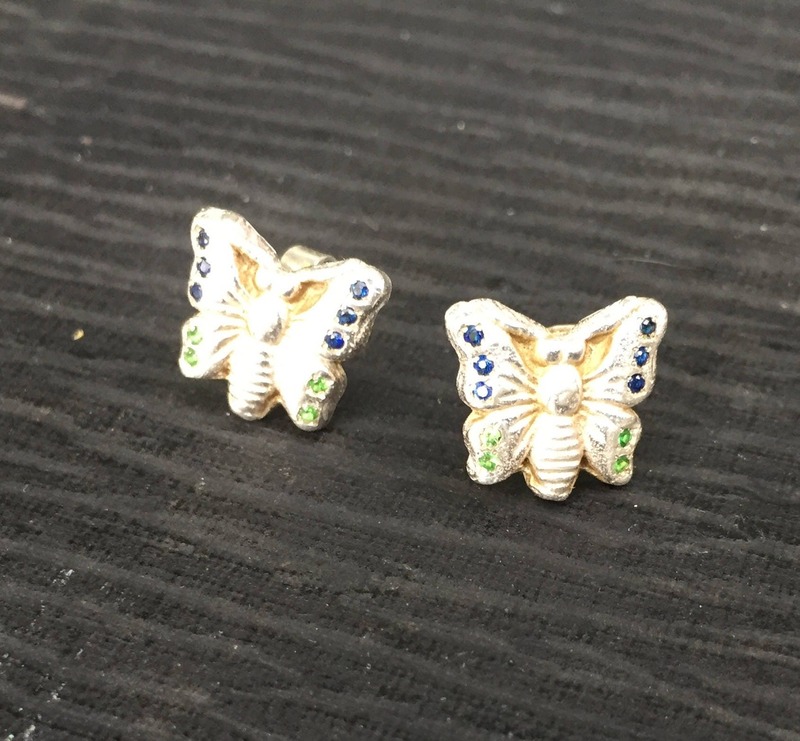 The original butterfly bead was damaged, so I worked with wax castings to finally achieve this flat backed casting and make a pair of stud earrings with sterling silver posts. They are polished to a high shine and catch the light when worn. The butterfly is a symbol of change and transformation, as well as a harbinger of warmer Spring and Summer days. The pair will be posted in a gift box with a padded envelope. The first two show the pair of earrings listed, the following one shows the plain pair that is also available. 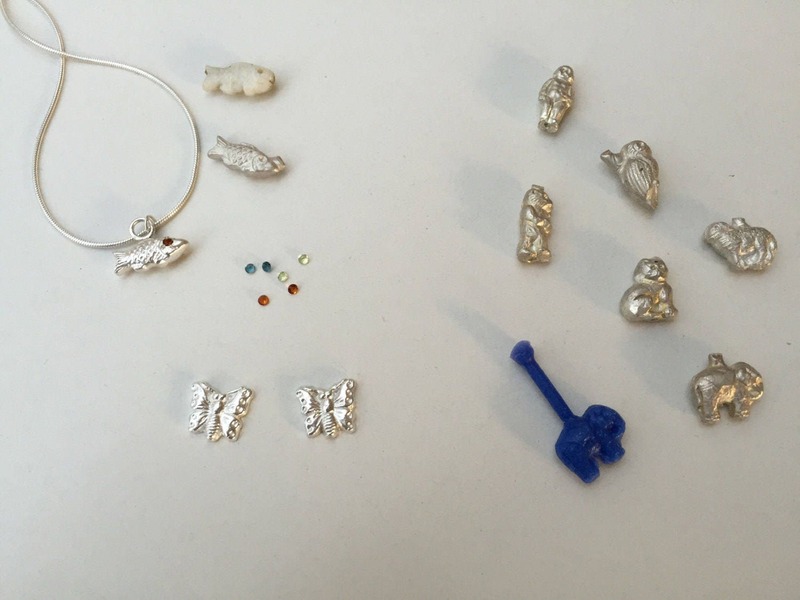 And the final photograph shows the other castings in the growing collection. 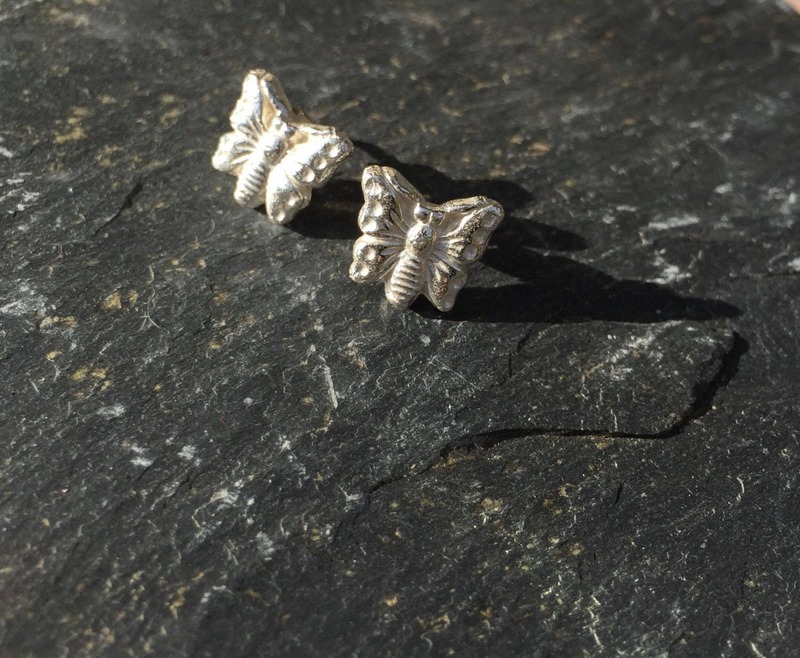 These earrings can be set with other gemstones to order, each butterfly can take up to 8 X 1mm stone.